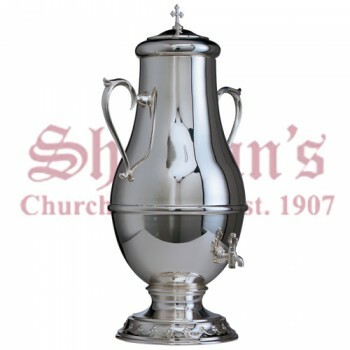 Find a quality selection of oil stocks and candle holders at Matthew F. Sheehan. 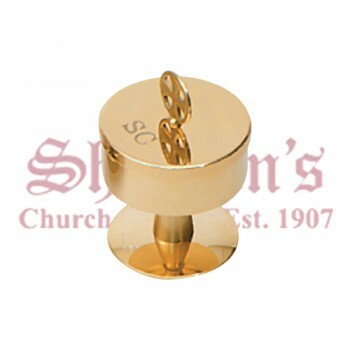 Our metal oil stocks and candle holders are available in a full range of styles and sizes, so you can find the right vessel or holder for your needs. 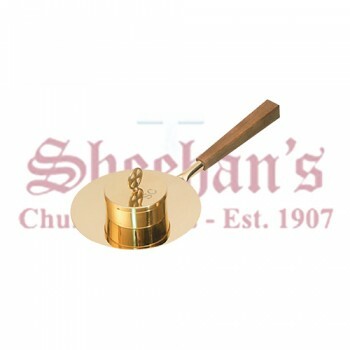 Whether you're looking for an anointing oil stock to carry oil for the sick or a church candle holder for an evening ceremony, you'll find the finest selection of premium church goods at Matthew F. Sheehan. 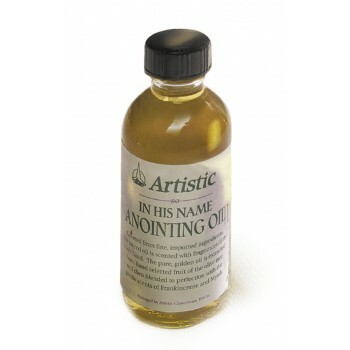 Oil stocks for holy oil are some of our most popular items. 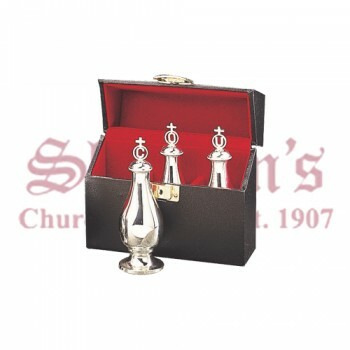 Filled with oils blessed on Holy Thursday, these anointing oil containers are an important part of any church's collection. 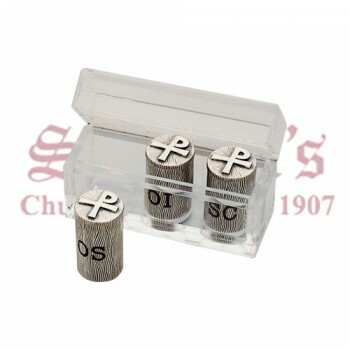 We carry individual stocks as well as three-piece sets, each carefully labeled to indicate the contents. 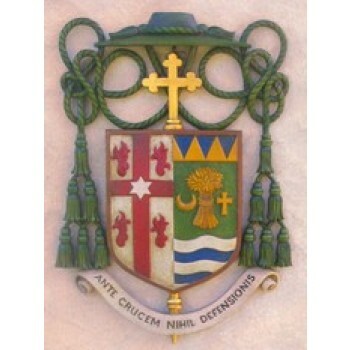 The label "OI" is for the sick, "OS" is for Baptism and "SC" is for confirmation and consecration. Many priests also keep an oil stock with oil of the sick on hand for an emergency. 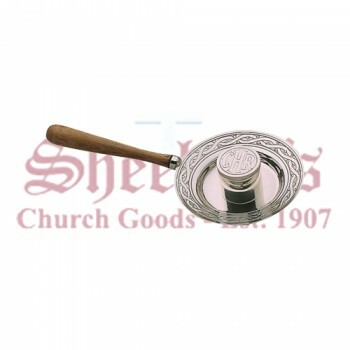 Keeping with tradition, most of our holy oil stock holders are made of metal and have decorative exteriors. Less common are glass holy oil holders, though they are also available. The size and shapes of the containers vary greatly, though interlocking sets are always quite popular. 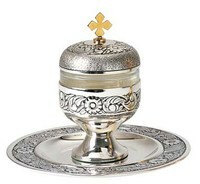 The designs deployed on the exterior of the vessels will also vary and is often left to the discretion of the priest. 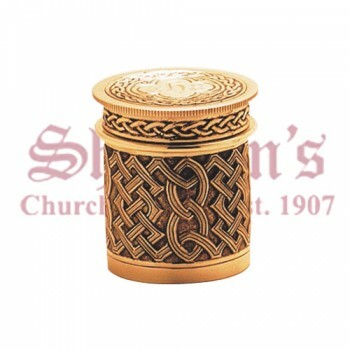 Some prefer a plain style of holder while others opt for a more distinctive design with carvings, inlays, crosses and other symbols. 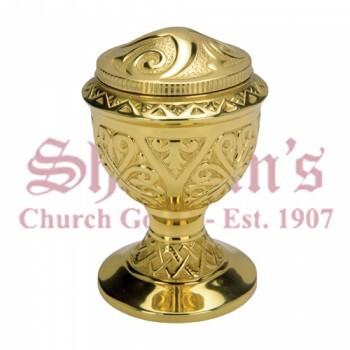 In addition to holy oily stocks, we also offer candle holders that are designed to hold a single candle stick. 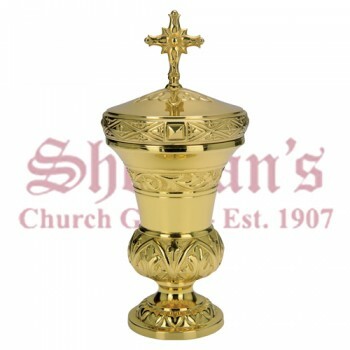 A singular candle is used during many church services, and is often carried by the priest. 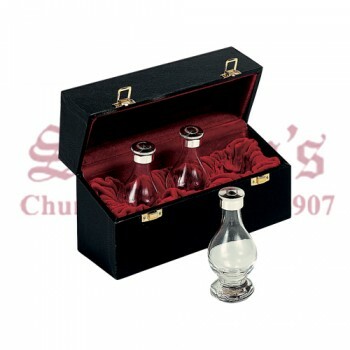 Our candle holders include handles and built-in drip trays to minimize messes and to make carrying lit candles easier. We also carry small amounts of oil, candles and other accessories. 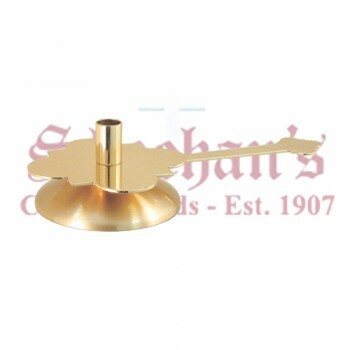 For the best selection of oil holders, candle holders and other essentials, visit Matthew F. Sheehan. 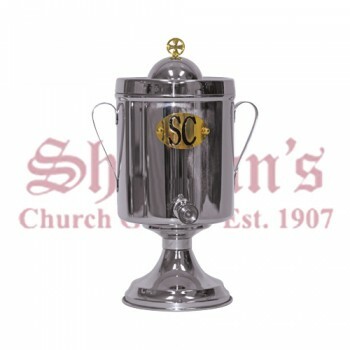 We have been proudly serving the religious community for over 100 years and offer the finest selection of oil holders, candle holders and other products on the market. For questions about an item shown here or for help ordering, please call us at 1-617-971-9800.